When you are in debt, a debt management company can seem like the answer to your troubles. As debt management companies take over the administration of your debts in that they talk to your creditors on your behalf, it can feel as though a weight has been lifted from your mind. However, it is important to understand what they do and why you should be very careful when you choose one. Some commercial debt management companies are simply the first step on the road to bankruptcy, and are used by people in debt who are too scared or in denial of the fact that they have serious debt problems. However, there are many circumstances in which a debt management plan can be the right option. You can either use a debt management organisation, or undertake your own debt management plan yourself. Although the latter may seem daunting, if your debts are not particularly serious this can be an effective way to deal with your creditors without having to involve third parties. In these circumstances a creditor may be more likely to more sympathetic to you if you ring up yourself rather than employ a third party to do it on your behalf. Debt management is less formal than an IVA and bankruptcy. If you deal with your creditors when you first get into difficulties, this may prevent creditors from resorting to enforcement action against you, such as obtaining County Court Judgments. A debt management plan is flexible and you can increase or reduce your monthly contributions as your circumstances change – although as a general rule you should be able to contribute at least £100 per month, or £25 per week to paying off your debts. Debt management plans do not touch your assets, so if you have a lot of equity in your home or drive an expensive car, this cannot affect your eligibility for a plan. Debt management plans are not legally binding agreements between you and your creditors. This means that a creditor is able to withdraw from the debt management arrangement you have with them at any time. Similarly, it is only really for people who have a regular income, and who have a surplus after they have paid for basic living expenses. If you are on a very low income or have no income, you may be better suited to an IVA or bankruptcy. A debt management company will take details of all your debts, your income and outgoings. They will use this information to prepare a ‘financial statement’ that proves that you are unable currently to meet your financial obligations. Then, once they have your authority to do so, they will contact each of your creditors to explain that you are unable to continue to keep up with your payments. You will pay the debt management company what you can afford each month, and they will distribute that money to each of your creditors. There are a large number of debt management companies in the UK, and not all of them offer the same type of service. Some take a commission from the money that you pay to them each month, which means that your debtors are not receiving the full amount of money that you have intended for them. In these circumstances, you may be better off dealing with your creditors yourself. 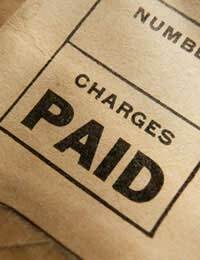 Other debt management companies do not take fees from you, but are paid by the creditors. Regardless of the company you choose to manage your debts, it is highly advisable to ensure that they send you regular statements so that you can keep track of how much of the debt you have paid off. To find a reputable debt management company who will not charge you fees contact your local Citizens Advice Bureau.